Margaretta Cottage predates Bellevue by several decades. It displays a simple classical style and although there is some question about its original date, it is still regarded as a valuable example of an early Glebe cottage. It is possible that it was contemporaneous with Toxteth Park. 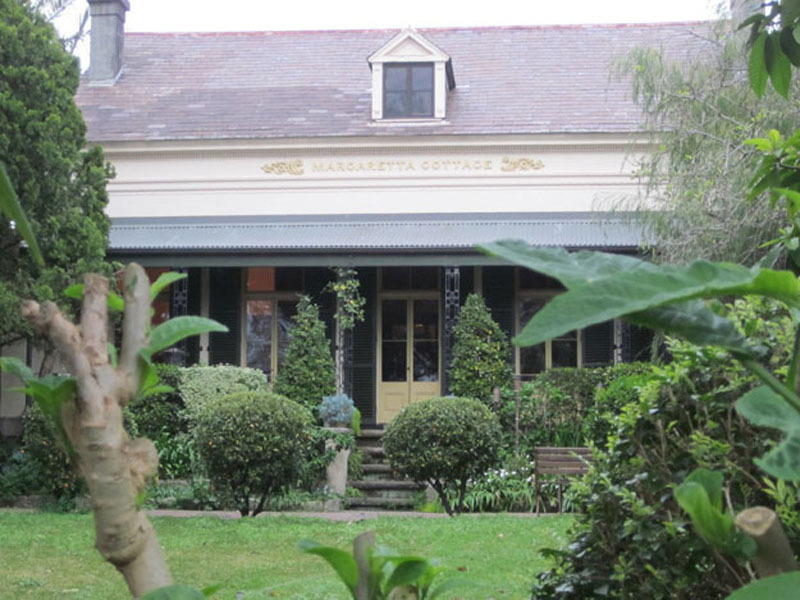 Architect Graham Jahn describes Margaretta Cottage as “wonderful and unassuming”. It is a single-storey stucco cottage with a central dormer in the slate roof with dentils to eaves, a wide north-facing verandah with a draped metal roof, and cast iron columns. The present owner believes the French doors were part of the subsequent remodelling. There is a small addition to the west end. The building is set well back on a block replete with lawn and cottage garden, a cast iron fence and stone gateposts. 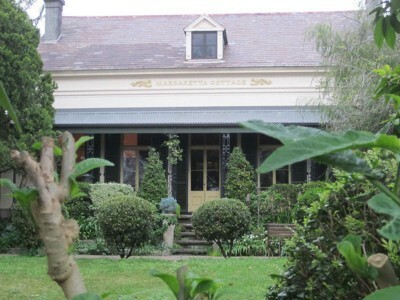 Margaretta Cottage is the venue for some of the concert performances in the annual Glebe Music Festival. Definition: Dentil: one of a series of small separated rectangular blocks forming part of a cornice.